The Alpine Premier Suite is a spacious suite, facing north, that offers a sunny, luxurious space with a Super King bed and ample sitting area with armchair and double sofa bed. 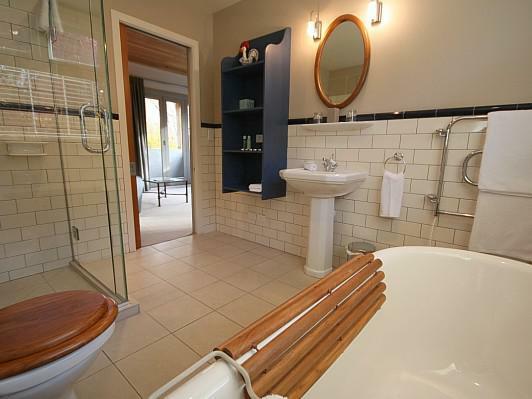 The private en suite bathroom features a claw footed bath and separate shower. 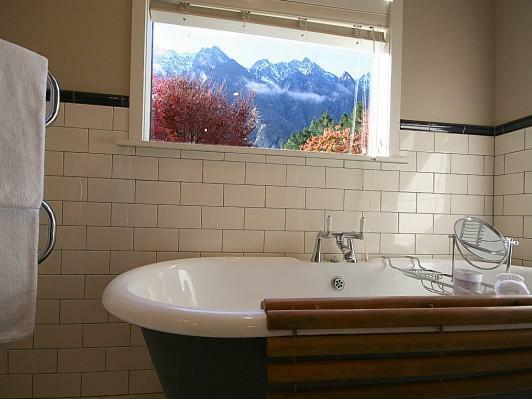 Enjoy two balconies looking towards the mountains and the lake. 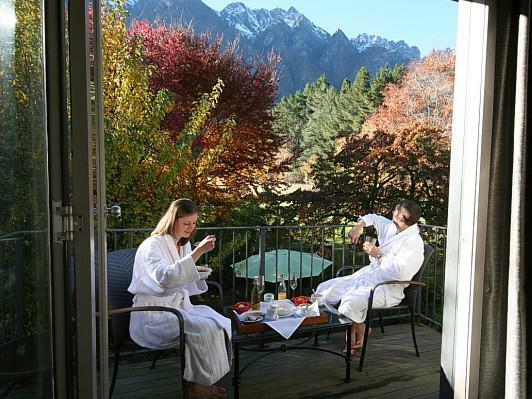 All guests of Remarkables Lodge have full access to the swimming pool, tennis court, sauna, spa, billiard room, lounge, courtyard, bar & more... Breakfast is included for most bookings. To find out if your booking includes breakfast, please refer to the specific inclusions stated on your booking information. 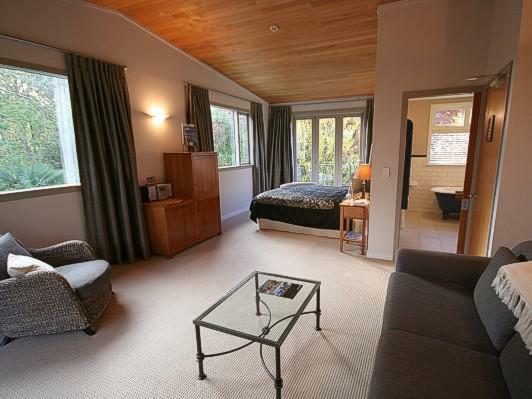 This room will sleep an additional 2 guests in a double sofa bed (additional charges apply). 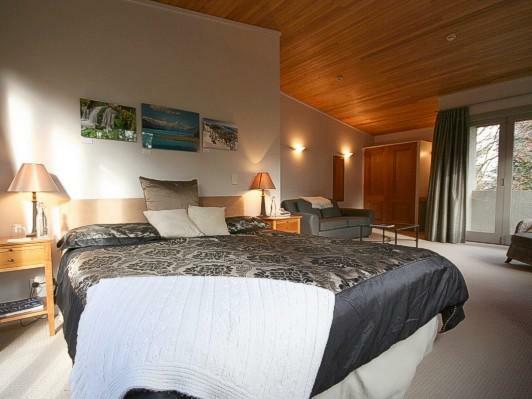 The super King bed can be made into two King single beds when requested.